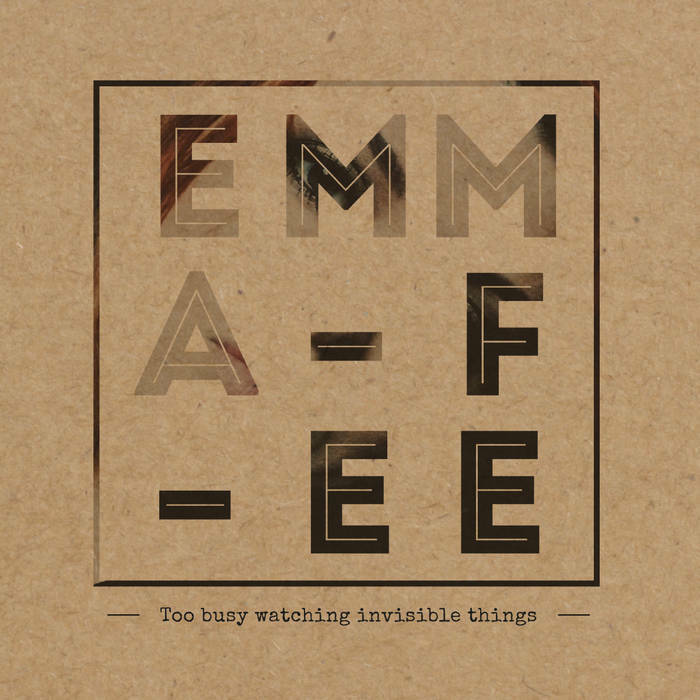 For our second interview of 2016 we catch up with Hull based singer songwriter Emma Fee. From the earliest age I can remember, I have been surrounded by music. My dad was in a band with my Uncles, so there was always a guitar and an old Crumar keyboard kicking about the house. My parents had cracking taste in music. I fell in love with The Beatles at a very early age and spent a lot of time trying to replicate their music on guitar and also singing their harmonies. I’m not quite sure, but I have been told that when Paul McCartney’s "Waterfalls" came out, I used to sing to it. I will have been 2 or 3 at the time. I didn’t consciously set out to be a musician. I just ended up picking the guitar up because it was something the adults around me at the time were doing. I enjoyed singing so it meant I had something to sing along with. I never did music at school, but I’ve always felt compelled to play and sing. It’s just something that I can’t seem to help! Probably the guitar, but I was better at piano at an early age. I found that easier as the guitar I learnt to play on was an old Hofner President with horrific action. My poor child hands couldn’t cope for very long on those strings! Ha, does singing Edelweiss solo in School Assembly count? I was Mary Poppins in the Primary School play too. As an actual gigging musician with a guitar in hand, it was probably around 1997 in an all girl cover band called Bikini Red at Abbey Pub in Hull. The Beatles, Badfinger, Blondie, The Band, Rory Gallagher, Sheryl Crow, Taking Back Sunday, Phantom Planet, Bright Eyes... I enjoy listening to all kinds of stuff. House music, Alternative Rock, Classic Rock, Pop... Currently listening to a lot of local music like Black Delta Movement, The Mighty And The Moon, Jody McKenna ...revisiting Amy Winehouse and Dawes at the moment. Melodic, pop/rock, often acoustic based, melancholic, uplifting... depends on the song. When we were about 12, me, my sister Sara and mate Kirsty, used to write songs about people down the street who we didn’t like. Does that count? First proper song was probably “Nobody’s Gonna Help You Now” which I wrote in 1997. Didn’t write it about anyone or anything in particular. We still do it in the band now. I find my favourite songs come together, lyrics and melodies at the same time. My personal favourites have been finished in the space of around 20 minutes. I capture the emotion of the song well when I do them that way. I have loads of lyrics in books and loads of melodies on my mobile phone, that I’ve never gotten around to marrying together. Occasionally I’ll sit down and go through them to see what I can hash together from them! You had a busy year in 2015 with the release your debut album 'Too Busy Watching Invisible Things'. What is the story, background and inspiration for this collection of songs? A lot of my songs come from experiences I’ve had, people I’ve observed and some are just plucked from thin air and imagination. “Missing You” is about my late dad, “String And Tin Cans” was when I was being reflective about a broken down relationship, “Plastic Heroes” was about a girl I knew who was incredibly annoying and blinkered in life. The album title comes from something I saw my cats doing – just staring at things I couldn’t see. I realised we humans do that too, in a more philosophical way. We spend so much time reading into things, imagining stuff that isn’t happening, re-running mental movies in our minds, so much so that we miss what’s really going on in life. Can we expect some new songs from you in the near future? Yes of course! I’m always writing and some songs just scream out to me that they are Happy Endings numbers. The others are solo. As well as being a solo artist you are also in Happy Endings. Going forward what will be your main focus and how do you see your music career developing? It depends on what’s happening with us socially really. We all work full time and Rachel has a little boy too, so we tend to do less as a live band but more recording-wise. I chose to do the solo project back in 2012 when I was itching to move forward with things and life had slowed down with the band for whatever reason. I just cracked on with the recordings and in no time had the EP and later the album out. Being in a band is logistically more difficult – getting everyone together for rehearsal, recording, making sure everyone is free for a gig and not working etc.. The main focus for me is to work with the band. We have an album out this year so we’re working on that. I love working with Rachel and Mike. They bring some magic to the mix that isn’t there with my solo stuff. I get bored with the sound of my own voice after a while, so having Rach and Mike around is ace. Most memorable gigs - as a solo artist and member of a band? Solo – probably playing at Baths Halls in Scunthorpe before a Queen Tribute band! Sounds bizarre but I was booked to play in the auditorium and I was sh*tting myself, thinking no one would like me because I was an acoustic original act. Turned out to be one of the best gigs I’ve done – gained lots of new fans that night. Band – probably at Freedom Festival in 2012. There was a real party spirit in the audience and people were even dancing to our stuff, which is a minor miracle, given that our sets are acoustic and fairly laid back. Straight after our set, our good friend Lewis Holohan finished the night off with a DJ set. Just a brilliant night. Ooh it depends on the type of music. Adelphi or Polar Bear for rock music and Kardomah94 or the Back Room (Cottingham) for acoustic. It’s massively important. As much as I hate Facebook, I realise we need it for our music. I love Bandcamp, Instagram and Twitter for sharing music. We’ve had sales in France, Australia, South Africa, the USA, Russia – all through Bandcamp, Instagram and Twitter. We don’t really tour, so it’s important for us to share our music online. We’re reaching much further geographically than we ever would with a tour. I think gigging is incredibly important, but for us, keeping up to date on social media, is crucial. Must improve on the YouTube stuff though – people are always asking for more videos and it’s just something we’ve never really put much effort into. Hull has many extremely talented musicians creating a very strong and diverse music scene. Do you think this is typical of what is going on throughout the country or is there something very special happening in Hull? I think Hull is quite a special place, but I’ve no doubt other cities have a similar vibe. We went down to London with the Warren Project and a load of other Warren Artists, to play in a venue in Kensington. I remember speaking to one of the London organisers and he commented on how nice we all were to each other. There didn’t seem to be any jealousy, one-upmanship or ego. It was just a bunch of happy northerners supporting each other and enjoying performing. I think it’s always important to get out of the city and out of your comfort zone, or you’ll never grow or develop. The SpeakEasy guys are good at bringing out of town talent into Hull and taking Hull talent out to other cities. We do have some cracking acts in Hull – I’m always very proud to see them doing well. What impact do you hope UK City of Culture 2017 status will have on the music scene in Hull? I think it’s given us a lot of positivity. All eyes will be on Hull and its bands will be under the spotlight more than ever. Musicians will be coming into the city from outside, to see what the fuss is about. We need to make sure it’s worth their while! I’m sure we will! Yeah as mentioned previously, it’s a real godsend for us. We share a lot of what we do online. Our music is reaching people all over the world because of it. The only way that would have happened back in the day before the internet, would be to tour, head down to the big smoke and try and catch the ears of someone who could make you a star as it were, sending demos off to record companies and radio stations. Sadly there’s the problem of streaming and illegally downloading, which makes it hard to earn a good living from it if you’re at the level we’re at (yes, I’m looking at you, Spotify), but ultimately, the internet is a fantastic thing. Haha, that swearword again...I put my 2012 EP out on iTunes, Spotify and CD Baby. I barely made a penny from those sites. As soon as I released them on Bandcamp, I actually saw some revenue coming in. It’s not all about money, but you should at least be able to break even, which I didn’t start doing until I started using Bandcamp. Always vinyl! But it’s handy to have a digital download code with the vinyl, so you can stick it on yer iPod for convenience. Last gig I went to as a music fan, was the Quiet Riot charity fundraiser for homelessness at St Mary’s Church in Hull last month. Beautiful venue, featuring some of my fave local bands, Cuba Drive, The Mighty And The Moon, Imogen Hart and the Quicksilver Kings. What a line up! Performing on the Steve Lamacq show for BBC 6 Music a couple of weeks ago.